Staff Sergeant Jay T Collado died February 20, 2006 from an improvised explosive device near Baghdad, Iraq. 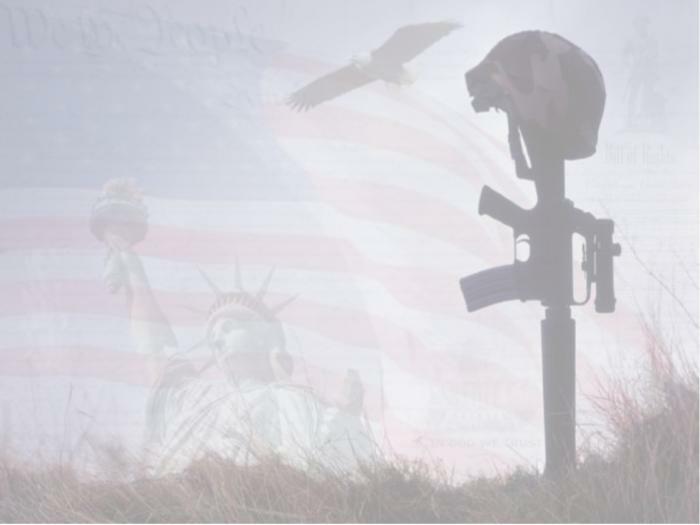 To the family of "Staff Sergeant Jay T Collado"
Assigned to the 411th Military Police Co., 720th M.P. Bat., 89th M.P. Brig. in Fort Hood, TX. To the family of "Sgt. Andrew Joseph Derrick"
Sgt. Shawn M. Dunkin died February 19, 2007 in Baghdad, Iraq, of wounds suffered when the vehicle he was in was struck by an improvised explosive device. Assigned to the 1st Squadron, 89th Cavalry Regiment, 2nd Brigade Combat Team, 10th Mountain Division, Fort Drum, N.Y.
To the family of "Sgt. Shawn M. Dunkin"
Assigned to Headquarters Battalion, 1st Marine Division, I Marine Expeditionary Force, Camp Pendleton, Calif.
To the family of "Master Sgt. Timothy Toney"
Age 21 Pfc. Anthony J. White died March 25, 2007 in Baqubah, Iraq, when an improvised explosive device detonated near his vehicle during combat operations. Army Assigned to the 5th Squadron, 73rd Cavalry Regiment, 3rd Brigade Combat Team, 82nd Airborne Division, Fort Bragg, N.C.
To the family of "Pfc. Anthony J. White"
Army Assigned to the 3rd Squadron, 71st Cavalry Regiment, 3rd Brigade Combat Team, 10th Mountain Division (Light Infantry), Fort Drum, N.Y.
To the family of "Spec. Abraham S. Wheeler III"
Age 47 Died Aug. 7, 2008 at Camp Arifjan, Kuwait, as the result of a non-combat related incident. To the family of "MSgt Danny Maybin"
Send mail to politicsnewsaja@aol.com with questions or comments about this web site.